Golden Balloons – Concord & 9th Guest Designer for Feature Friday! 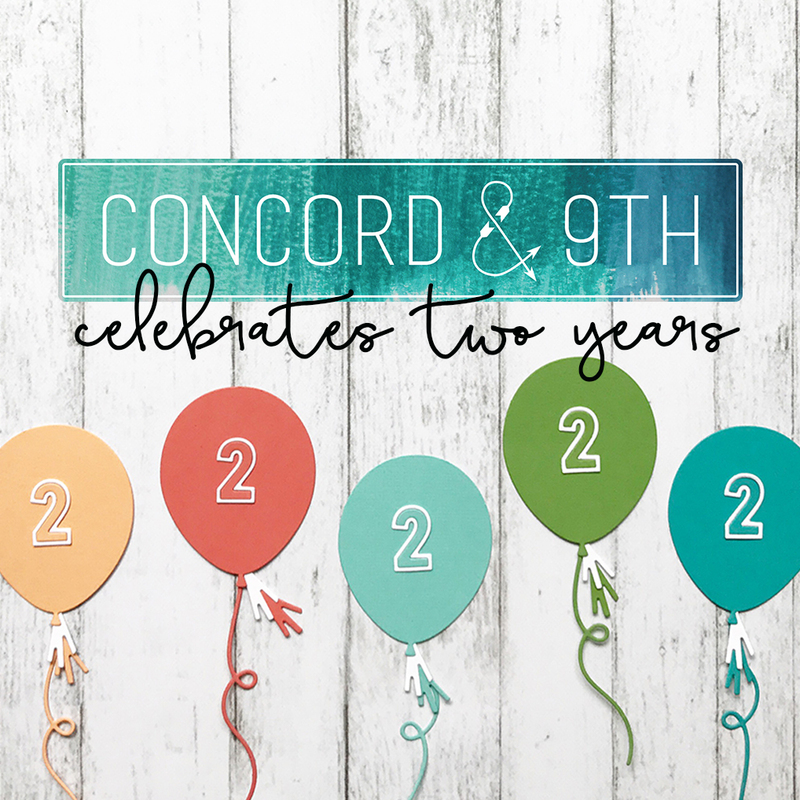 Home / Blog / Golden Balloons – Concord & 9th Guest Designer for Feature Friday! Hi there! I’m back with post number two for today! I have the pleasure of being a Guest Designer for Concord & 9th this month along with the rest of the fabulous Design Team over on the Where Creativity Meets Concord & 9th Blog! For the next three Friday’s we will be featuring a new product from the August Release! 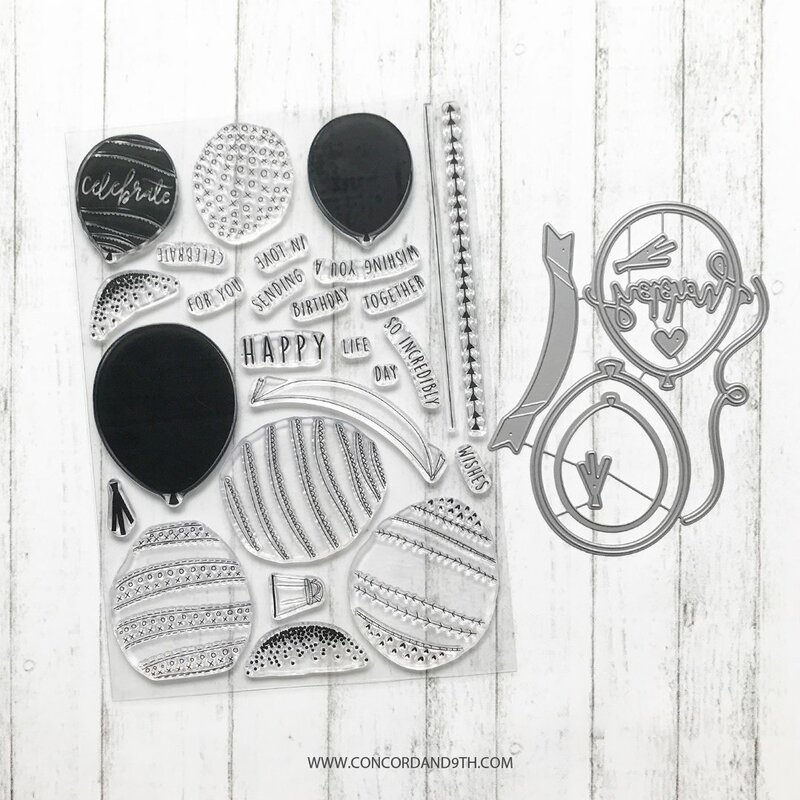 This week it’s the awesome Happy Balloons Stamps and Dies! Any of you that know me know that I love a little heat embossing on Vellum! I thought that the balloons would look pretty cool done that way! Three of the balloons from the Happy Balloons Photopolymer Stamp Set are heat embossed in Hero Arts Gold Embossing Powder onto 65lb Vellum. I used the Coordinating Dies to cut them out. They are adhered to each other and my card base of Neenah Solar White 110lb Card Stock with Multi-Matte Medium that is strategically placed! My greeting is also heat embossed in Gold onto a piece of Solar White 110lb that is cut out with the banner die from the set. I added some Gold Thread to the balloons and then adhered the greeting banner to the card. Just a few Pretty Pink Posh Gold Sequins add a bit more sparkle and the card is done! Isn’t that a fun stamp set and I love the that the overlapped balloons sort of make a heart! This entry was posted in Blog, Cards, Concord & 9th, Crafts, Embellishments, Embossing, Hero Arts, Photopolymer, Pretty Pink Posh, Stamps, Where Creativity Meets Concord & 9th and tagged Card Making, Concord & 9th, Crafts, Hero Arts, WCMC&9. Bookmark the permalink. Love those balloons, Justin. The designs on them are unique or at least I haven’t seen them. Love that they make the card so easy. I love how you used vellum with the gold embossing. So pretty. Love this bundle. Have a great day! Two posts in the same day – oh Justin you have been a busy, busy guy. As you know Concord & 9th is one of my favorite companies for stamps and dies. I really haven’t found a balloon stamp set that really shouted “you need me” until I saw your card today. 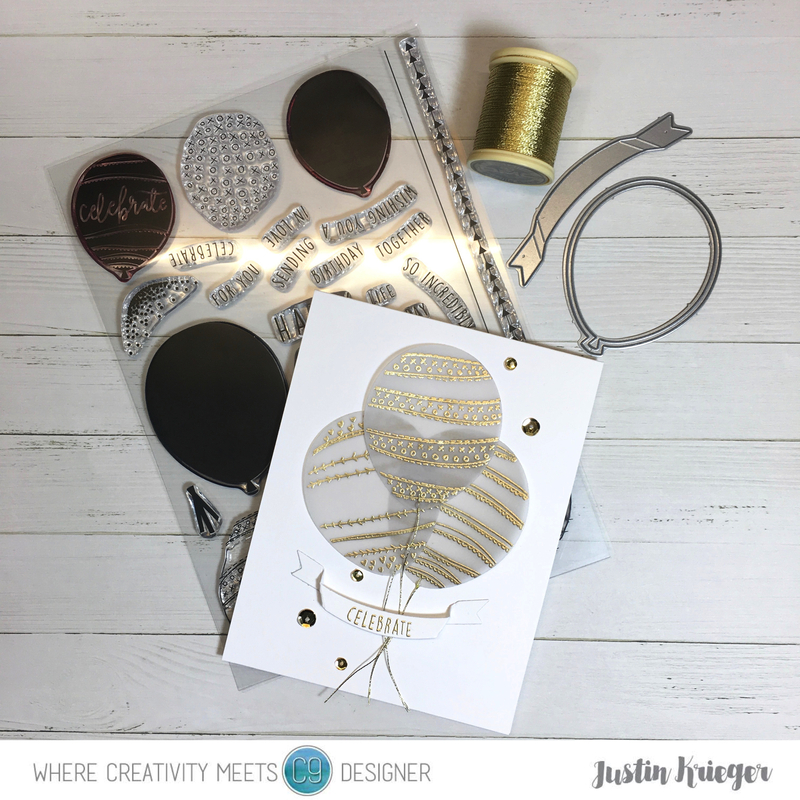 These balloon stamps and dies are fabulous and I love that you used the gold thread to tie it all together. Thanks for sharing. Beautiful card Justin! Vellum & gold embossing – my 2 favorite things.